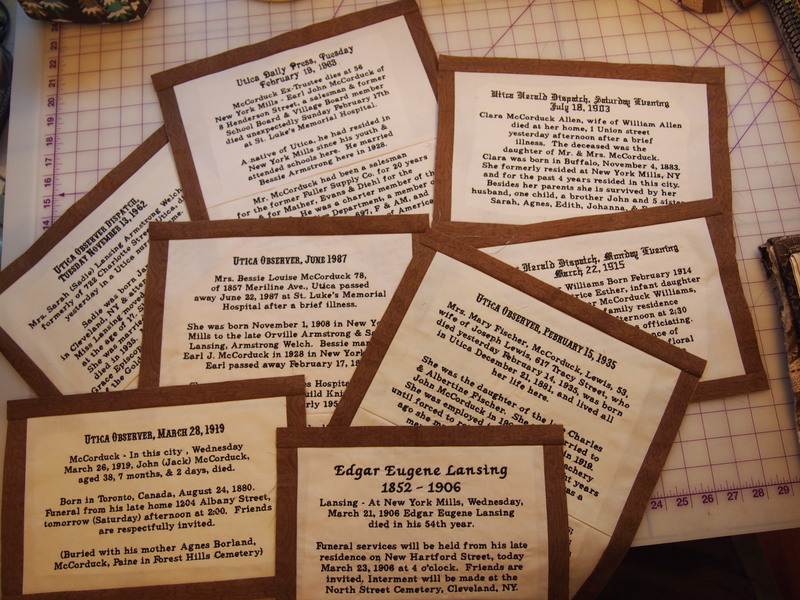 Did You Say Obituary Quilt? Why yes, I did! I started working on this idea 2 years ago but was overtaken by events. My goal this year is to finish the Obituary and Cemetery quilts. My grandmother Bessie was very into family history and geneology. Of course I and my sister took it for granted. When Bessie passed in 1987 all her family knowledge went with her. In the past 3 or 4 years my sister and myself have worked hard to find the secrets of our past. Our hard work has been rewarded. 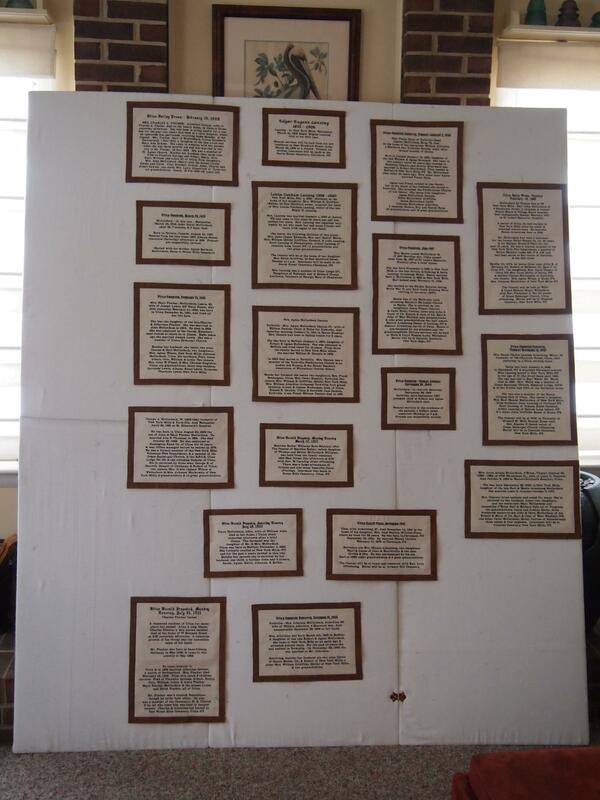 We have many great obituaries, some over 100 years old. So, that is how the idea began. I have typed the obituaries into my lettering software and machine embroidered them. I have 2 more to get done but I ran out of the fabric and black thread today. In my head I envision the blocks randomly arranged on my design wall. When I get a pleasing design I will measure the negative space and make blocks to fill in and join the obituaries. I’m thinking I will choose one simple block and either enlarge it or reduce it to fit, and stick to a simple color scheme of blue and brown. I’ll keep you informed! This entry was posted in Quilting My Family's Story and tagged Family History, geneology, machine embroidery, quilting on January 26, 2013 by ifthesethreadscouldtalk. What an amazing idea! So it’s all embroidered? I gotta get me one of those machines! Wow! What a truly ingenious idea! I love it! Thanks, apparently there is nothing I won’t embroider! Let your threads talk…… Label your quilts! Unbelievable!!! Very excited to see this masterpiece completed!! !